The Foundation was established in 1965 with a bequest from respected Shepparton businessman, Sir Andrew Fairley and his wife Mineta. As Managing Director of Shepparton Preserving Company Ltd (SPC), Sir Andrew created what by the mid-1960s was the largest fruit canning complex in the southern hemisphere. In 1927 he became the first Mayor of Shepparton and from 1948 the first Mayor of the City of Greater Shepparton. According to his instructions, the Fairley Foundation is for the benefit of the people and communities of the Greater Shepparton area. Over the last 50 years, the Foundation has been recognised as a trusted voice in the community, influential in many areas of local life: education, employment, the arts, health, sport and social justice. Sir Andrew Fairley (1884-1965) was a prominent Victorian business figure and respected civic leader in Shepparton for much of his long life. Andrew Walker Fairley arrived in Shepparton as a small child when his parents immigrated to Australia from Scotland with their six young sons. After completing his schooling in Devonport, Tasmania, he joined the family business, Fairley’s emporium in Shepparton and later established a profitable rural and real estate partnership with his brother John Frederick (Fred). An active sportsman, he was a keen shooter, early motoring enthusiast and talented lawn bowls player. At the age of 37 Fairley joined the board of the struggling cannery then known as the Shepparton Fruit Preserving Company (SPC). A few years later, having been appointed chairman and managing director, Andrew Fairley said he would make the rescue and development of the business his life’s work. And that is what he did. At the helm of SPC he displayed rare gifts in finance and marketing and showed particular concern for employees in every part of the cannery. Many of them were left a generous personal legacy in his will. 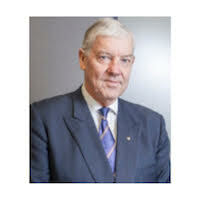 When he was knighted in 1951 Sir Andrew was recognised as one of the world’s leading experts in fruit canning and a major figure in Australian primary industry. By the time he died at the age of 81 – and still serving as the company’s leader – he had turned a modest factory in a weatherboard shed into a cannery with an international reputation; the SPC brand was familiar around the world. Sir Andrew also played a major role in the development of his adopted home town and was the first Mayor of the Borough of Shepparton and the first Mayor of the City of Shepparton. One of the galleries of the Shepparton Art Museum (SAM) developed after his death was named after him in recognition of his significant contribution to the development and housing of Shepparton’s art collection. His portrait, by the late Sir William Dargie, hangs in the Museum. 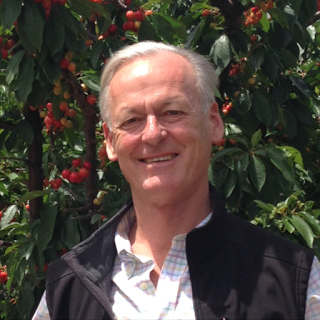 Sir Andrew travelled extensively on behalf of SPC and the Australian fruit canning industry. He was also a long serving Commissioner of Victoria’s State Electricity Commission (SEC). 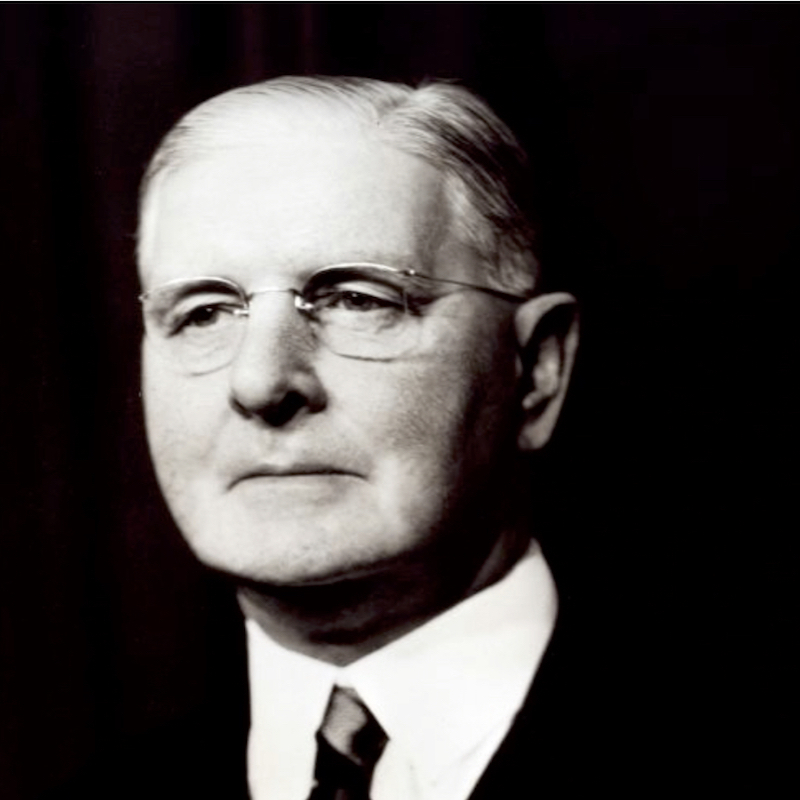 For more than 30 years Sir Andrew was married to Neta (formerly Mineta Stewart) and as the couple had no children, the bulk of his considerable estate was used to establish the Fairley Foundation, to assist the people of Shepparton and the Goulburn Valley. especially greater respect and accord with our Indigenous communities. Our grants program supports initiatives within these aspirations. Our strategy is to support local change agents, local community leaders to lead the change that is needed and that they articulate on behalf of their communities. But as a small foundation we can’t do it all, so we have a very distinct role to play. We use our local knowledge and connections to leverage support from a wider range of people and organisations. As a local presence we are a catalyst for social change that is implemented by local people. We find these local change agents by proactively getting to know the community, listening carefully to people in a wide range of positions, from the grass roots workers supporting people living on the river bank to the Shire CEO; from the local primary school teacher to the Corporate Board member; from the volunteer at the local food relief agency to the Festival performers and from the newly arrived migrant to the young person disillusioned with life and what they see before them. We measure change according to each project or initiative – change may seem tiny but in fact is very significant for that community situation. It is usually incremental and often with pitfalls on the way. In dealing with long term, systemic challenges, change too will be long term, so small wins are ok and are celebrated. We are in it for the long haul, as our inspirational community leaders are too. 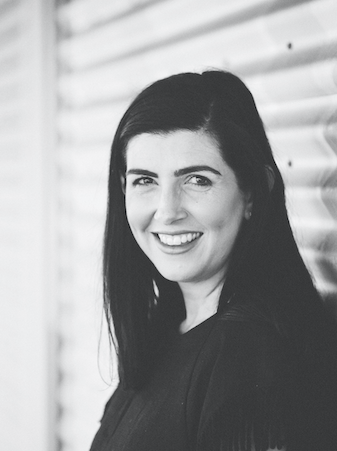 With a Masters in Marketing and Bachelor of Communications, Amanda has honed her skills in community engagement, social policy and philanthropy through various leadership roles in the Greater Shepparton community over the past 15 years, including as General Manager of the Shepparton Festival and co-founder of Lady Boss Events. A board member of the Australian Regional Tourism Network, Goulburn River Valley Tourism and awarded the Australian Young Regional Tourism Achiever (2011) Amanda established her consultancy practice Big Rocks Consulting out of a desire to make cultural change in regional areas. Amanda is a mother to three young children Madelyn, Hunter and Xavier and has settled in to Shepparton life with her husband Matthew. 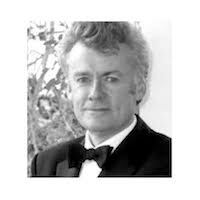 Andrew Fairley AM is a commercial lawyer at Hall & Wilcox in Melbourne. He has a long involvement with the philanthropic sector as both an advisor and trustee. He has been the Chair of the Fairley Foundation since 1999 and is also a great-nephew of the Founder (Sir Andrew Fairley). He is Chair of the Foundation for Alcohol Research & Education and is Deputy Chair of the Mornington Peninsula Foundation. He also Chairs Equipsuper, a $16B profit-for-member Superannuation Fund, is a Director of Qualitas Securities Pty Ltd and a Director of the Australian Financial Complaints Authority. He is the Consul-General for Finland in Victoria. 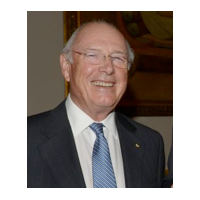 Terry Campbell AO is a great-nephew of the late Sir Andrew and Lady Fairley, for whom the foundation is named. Terry is Senior Chairman of Goldman Sachs, the global and investment banking firm. He is also Chairman of Australian Foundation Investment Company (AFIC) and Mirabooka Investments Limited. He is a supporter of corporate social responsibility through contributions to community and charitable organisations. He is also a strong advocate of Australian Business Participation in the Arts, and is the Vice Chair of the National Gallery of Australia Foundation. Carmel Johnson has been living and working in the Goulburn Valley for more than 35 years. During this time Carmel has primarily worked in fundraising and community relations roles, and with her Special Education qualifications, served as the inaugural Principal of Verney Road Special School and later as Manager at Connect GV in Shepparton. 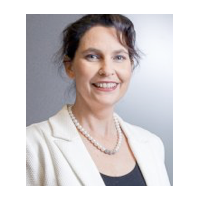 Carmel’s current role is as Director of the GV Health Foundation, assisting the GV Health Board and Executive with financial and philanthropic support to ensure that the community of the Goulburn Valley is well served. She was the inaugural Chair of the Shepparton Arts Festival and serves on a number of corporate and community boards. Carmel is Deputy Chair of the Foundation. 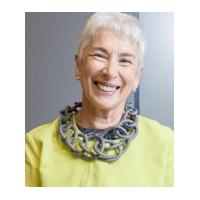 Fiona is the daughter of Rosemary Hopkins (nee Fairley) and was appointed a Trustee in December 2013. Fiona has taught in and through music in a variety of educational and community settings in regional Victoria. Her work with Early Years and Primary School practicing and pre-service teachers is significant and she currently holds the position of Associate Lecturer in Arts Education at Deakin University, Geelong. Her research and scholarship has focused on the ongoing practices of exploring new pedagogies, to inform and facilitate change in Arts Education (Music) within a located, cloud-based and virtual teaching and learning environment. She loves to sing and help others find their voice. Andrew Mott has been involved in music education for 30 years with experience in both regional and metropolitan schools and across numerous government and independent school music programs. He undertook a two year stint in Michigan, USA, completing a Masters in Music. In recent years, he has served as Director of Music at Blackburn High School and as the Head of Music, Caulfield Campus, Caulfield Grammar. Australian music education and creating opportunities for young musicians. Georgina has been practising Architecture for six years, following completion of her Masters of Architecture in 2010. Her current focus is on design for community and learning in both metropolitan and regional areas. 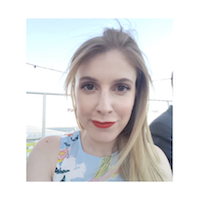 With interests ranging across a wide range of subjects, Georgina keenly seeks ways to engage with the world around her, from further education and attending local events to volunteering.